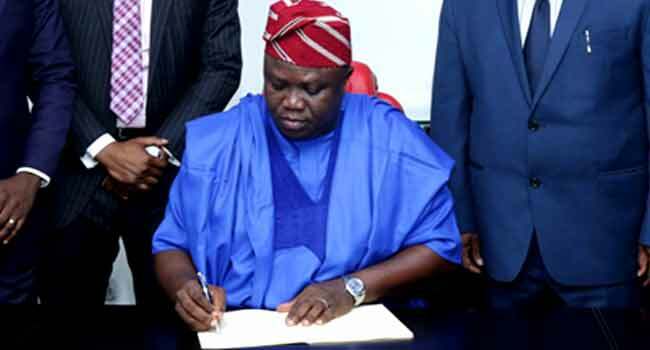 Lagos State Governor, Mr Akinwunmi Ambode, has approved the recruitment of additional 1,200 teachers for the Junior and Senior Secondary schools in the state. The Deputy Director of Public Affairs at the State Ministry of Education, Adesegun Ogundeji, revealed this in a statement on Friday. Governor Ambode had hinted at the recruitment when he addressed residents and stakeholders at the last quarterly town hall meeting held recently at the Ibeju Lekki area of the state. He promised that his administration would employ more teachers in public schools to meet up with the manpower required to cover all public schools across the state. Confirming the development in the state, Deputy Governor of the state, Mrs Idiat Adebule, said the 1,200 teachers was an addition to the 1000 teachers which the governor had approved for recruitment into primary schools in the state. Adebule, who oversees the affairs of the State Ministry of Education, disclosed that guidelines for the application would be released soon in accordance with the Civil Service Rules. She was hopeful that the development would further aid teaching and learning in the public schools, stressing that it was attracting more enrollment in the last three years. The deputy governor attributed the progress to the government efforts towards improving infrastructure and welfare of teaching and non-teaching staff in its service. She noted that the improved facilities and staff motivation were evident in the high-performance rate of the students of the state in local and international competitions.